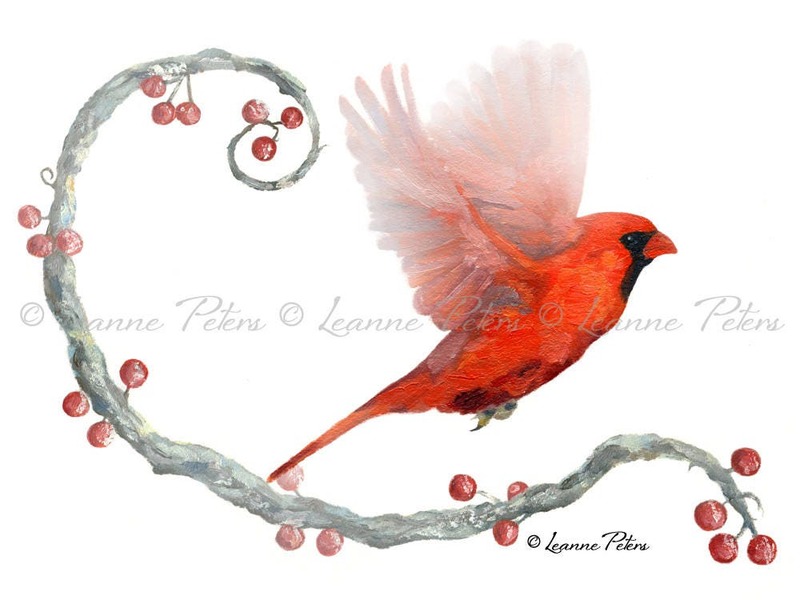 It's said when we see a cardinal, it's a visitor from Heaven. This piece is in honor of my great aunt Cici who showed me how to draw birds. She loved the birds and fed them. She was very magical and taught me a lot. I miss her and think of her when I paint birds. I am offering this as an archival 6 inch by 8 inch and 8 inch by 10 inch print (of my oil painting) that I produce on beautiful Epson watercolor paper. It is backed with a firm board and in a protective sleeve. It is ready for a frame of your choice! The copyright information will not be on the actual print. I thought this was beautiful online and then it was even nicer in person. Opening it was like seeing a little magic in front of me. The cardinal arrived promptly. And Leeann the artist was extremely friendly, helpful and explainitory. She went the extra mile to help me with my last minute purchase. An absolutely stunning print by the very talented Leanne! This one is for a gift, but I think I'm going to have to order another to keep! Delivery was the best it could be!